Sleeping six in a three-room tunnel tent with two Ambassador Master Bedrooms, the Mayville 6SA is a superb tent for families and friends for long camping holidays. 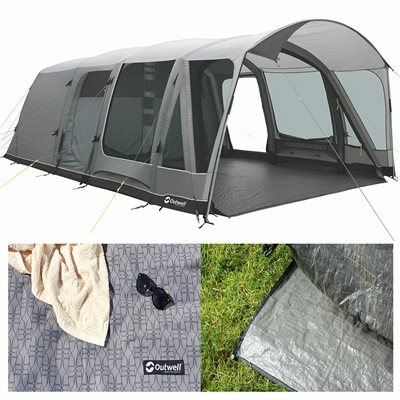 Packed with inspired features, the full standing height, large front door and ample ventilation deliver flexible camping comfort. A deep front canopy with side windows extends sheltered living space.